When using frequent flyer miles for international travel, you might plan the flights for your trip a year in advance, if you can. I find that more miles are being required, so the earlier the better. I tend to book my flights directly with the airline and do it early to take advantage of good rates. I have heard about problems using the third party sites particularly if something goes wrong or the flight is cancelled. In that way if there is a delay you are notified, or in case of a weather issue, you can call and get on an earlier flight with no change fees. Using Google Flights is a great tool to use to see who flies to a certain city along with times. I love the hotel booking site Jetsetter.com. Where they once just offered daily deals, they not feature a great list of curated properties all over the world. You can now easily book their recommendations on the site. Design Hotels is another great site as is Tablet for the best in boutique hotels. I have also used Bedandbreakfast.com for exploring ideas and booking local B&Bs. I really love Tripadvisor as a source for smaller inns and bed and breakfasts. You can find a property, go to their website and book directly. You can also book directly through TripAdvisor for hotels, inns and rental homes. I also like Viator, a subsidiary, that allows you to book local tours, activities and excursions. Where my Father in the 1960’s used to plan his travel by writing letters, now you can go to a hotel or restaurant site online and book directly. However is you still want to use a travel agent, I recommend two friends who are excellent agents. I would contact Susie Chau at Carpe Diem Traveler in Chicago at 312 883 4787 and susie@carpedientraveler.com. Kerry Moriarty is in Denver at KerryON Travel at 312 925-9115 and km@kerrym.com. Both are affiliated with Tafari Travel, a Virtuoso Member. Those in Kansas City should contact Tim Burke of TMB Travel Concierge, an affiliate of Travel Experts, A Virtuoso Agency at 816 423-8045 and tburke@tmbconcierge.com. For music events, book online. For example, if you are going to be in Vienna and want to attend a concert or opera, it is easy to search and book your tickets online. You simply print out your ticket and present it at the door. In certain countries, like Colombia, Peru or Ecuador, I find it good to plan your airport transfer, in advance, through the hotel. Simply email the hotel or hotel concierge and ask them to arrange a transfer, giving them your flight arrival details. In that way when you exit Arrivals, you will see a driver holding a sign with your name. You can plan your departure transfer through the hotel once you arrive. In certain cities, I also like getting a card of the hotel’s preferred taxi service. I have them call a cab for me to go to a restaurant at night and then have the restaurant call the number for the return trip back to the hotel. I was just in Prague and people recommended not hailing a cab on the street or using the line at the train station. I stopped by the Tourist office to pick up my discount Prague Card and they called a taxi that got me to my hotel the cheapest way. Depending on the location, sometimes it might be better to travel in a group rather than alone. I have taken a number of walking, biking and group trips from walking in Ireland, Peru and Morocco, biking in France and Spain and group trips to India, Japan and Egypt. I found one of the best ways was to get to Machu Picchu in Peru was to take the Hiram Bingham train from Cusco. I met some wonderful people on the train, had a small group tour of the ruins, a wonderful afternoon tea at the Belmond hotel nearby and wonderful meals. It was perfect day! Always keep some coins with you, as many public bathrooms require a small payment. Some have attendants and others might have a machine that gives change. Check out promotional cards that you can buy ahead. For example, I bought the Barcelona Card for a certain number of days which included free or discounted admissions to many museums as well as included public transportation. I found many museums that I would not have known about if I had not had the card and the accompanying guide book listing all locations included in the pass. I just used my Budapest Card and it was easy to hop on the metro during the 72 hours that my card was valid for. I love booking my European rail trips through Rail Europe. I always talk to an agent and buy a pass or my individual tickets if a pass is not warranted. They can book individual trains and seats and also handle the sale of city promotional cards like the Barcelona Card, mentioned above. You can then pick them up at the train station when you arrive by presenting your prepaid voucher. I always buy a first class ticket. The cars are nicer and, on a recent trip to Europe, I found that there are first class lounges in some of the train stations which are available for your use with WiFi, drinks and a departure board. If you are going to a country where English is not widely understood or used, download the Google Translate app before you go, to help you with the language translation. Make sure to let your credit card companies and your bank issuing your ATM cards know you will be traveling, so they won’t block any transactions. I do use ATMs while traveling to get foreign currency, particularly in Mexico. You might also call your bank and get some regional currency before you go. Their exchange rates are probably better than the exchange window at the airport. You can always use the local ATMs if you need more. Get a credit card that allows you to use it overseas with no foreign transaction fees. Getting one that allows you access to the private airline club lounges is also an added benefit. Contact your cellular provider to add an international calling and data plan to your account for the time you will be gone. You can find WiFi almost everywhere without having to pay for international data charges. Just ask the restaurant, coffee shop or hotel for their login info. I am amazed as to how many places have WiFi now, so you can keep connected during the entire day if you need to without racking up huge extra expenses from your US carrier. For free calling using WiFi check into the apps provided by Skype, Vonage or others. As a Vonage residential customer, I can use their Vonage Extensions app and call free, with no roaming charges, using WiFi and putting the phone in Airplane mode. I would print out any hotel confirmations or at least email them to yourself, so you can access them on your phone. You never know if you might not have cellular service or WiFi to be able to search online. I love using Open Table for restaurant reservations in the US and often times in Mexico. I have also used Top Table, now Open Table UK, a similar service in the UK. Check out other international locations on Open Table. You might check to see if there is another such website where you are traveling or just go to the restaurants website which will often have a booking service available or an email where you can request a date and time. It makes it so easy, particularly if you want to get into a popular spot. Make copies of your passport to take with you. You can also register your passport and credit cards with a service that you can notify if they are lost or stolen. Global Entry is a wonderful way to speed up Customs upon your return. It is good for five years by paying a fee. With this you can also get TSA PreCheck which helps you with security on the front end, by not having to take off shoes, take out liquids or remove computers from your bags. Check State.gov to check on travel warnings from the US State Department or to see if any specific visas are required for entry to a particular country. 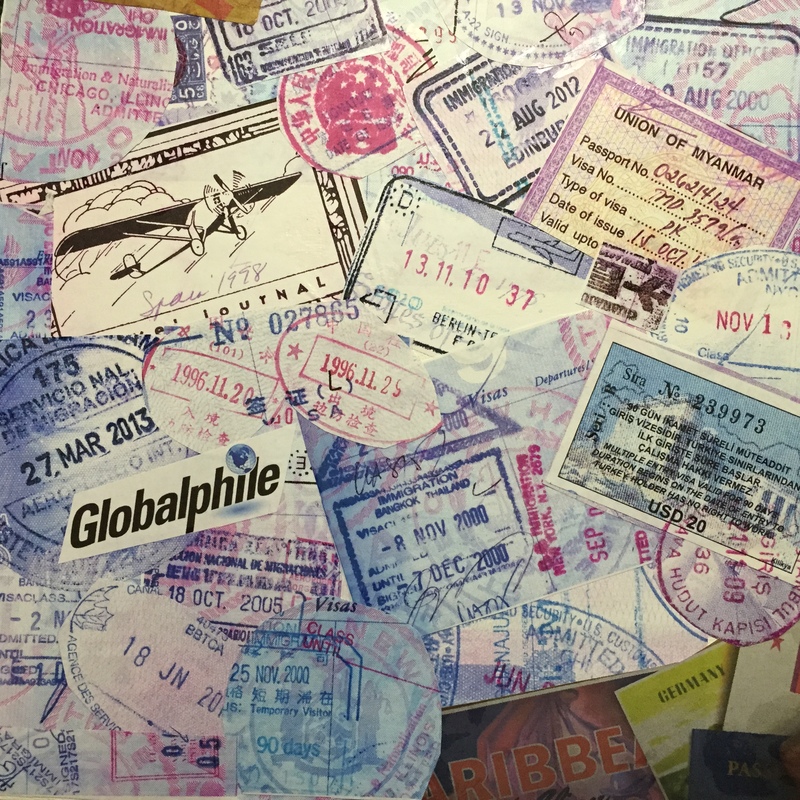 You should also make sure that your passport doesn’t expire soon, as many countries require it to be valid for a number of days upon entry, for example, 90 days. For car rentals, use sites like AARP or Costco for great discounts. You can also check out car rental discounts after you book a flight, say on Southwest. I find that the earlier you book, the better the rates. You can choose the rental company and the type of car by the ones offering the best rate. When traveling by air, make sure to check for your departure terminal before you head to the airport. For example in Chicago, United’s international departures leave from Terminal 1, but many carriers leave from the International Terminal. Check the monitors for any gate changes. I had one recently in Amsterdam where I had checked in and went to the gate and found it had been changed. When traveling by train, check the boards for departure times. I always double or triple check by asking the conductor, or even other passengers, if I am on the right platform or in the right car. Getting there a little early is always advisable. I just left Prague and the platform announcement was close to the time of departure. You have to be able to act and move quickly to get to the gate on time. When traveling by train, I still like to give myself plenty of time at the train station. In that way you can get your seat assignment if you don’t have it already, get a snack for the train and exchange the rest of your currency. For example, I changed my last Hungarian and Czech currency into Euros when I departed. I am using Euros on the last part of my trip and know I will always use Euros in the future if I have any left. I had a couple of connections on my last trip to Europe and I also looked at the schedule to see what later trains were on the schedule just in case I had to change my plans. For tighter train connections, ask for the location of your train car to save time. I also found some stations have a diagram showing exact locations of each car. An airline club membership can be great. You can get food, drinks, newspapers and magazines and free WiFi and sit in a comfortable setting while waiting to board. For international flights, I have learned to take an Ambien and sleep as long as I can. It is easy for longer Asian trips, to eat and then take your pill. For shorter European flights, I find it best to eat before you board, take your ambien and then go to sleep for as long as possible, waking up for breakfast before your morning arrival. I then take a pill for one to two days after I arrive to help set my clock and again upon my return to the US. As a tea drinker in the morning, I tend to throw in some tea bags from my favorite brand. I often take some paper, fillable tea sleeves so I can buy loose tea if I see any that I like along the way. A tip for riding the subway in a city where you don’t speak the language: The lines are usually numbered or colored. Just look for the direction of the stop at the end of that line in the direction you want to go. When transferring from one line to another just follow signs to that same direction. Get a currency converter app to calculate the cost of anything you are buying in a particularly currency. With different electric currents in certain regions, remember to check what converters you will need for your computer and phones that you will need to bring to your destinations. Mexico is the same as the US and none are needed.